This study examined the relationship between resident race and immunization status in long-term care facilities (LTCFs). Race was captured at the resident and the facility racial composition level. Thirty-six long-term care facilities varying in racial composition and size were selected for site visits. LTCFs were urban and rural, CMS certified, and non-hospital administered. Chart abstraction was used to determine race, immunization, and refusal status for the 2010–2011 flu season (influenza 1), the 2011–2012 flu season (influenza 2), and the pneumococcal pneumonia vaccine for all residents over 65 years old. Thirty-five LTCFs submitted sufficient data for inclusion, and 2570 resident records were reviewed. Overall immunization rates were 70.5% for influenza 1, 74.1% for influenza 2, and 65.6% for pneumococcal pneumonia. Random effects logistic regression indicated that as the percent of Black residents increased, the immunization rate significantly decreased (immunization 1, p < 0.018, immunization 2, p < 0.002, pneumococcal pneumonia, p = 0.0059), independent of the effect of resident race which had less of an impact on rates. This study found considerable LTCF variation and racial disparities in immunization rates. Compared to Blacks, Whites were vaccinated at higher rates regardless of the LTCF racial composition. Facilities with a greater proportion of Black residents had lower immunization rates than those with primarily White residents. Facility racial mix is a stronger predictor of influenza immunization than resident race. Black residents had significantly higher vaccination refusal rates than White residents for immunization 2. Further studies examining LTCF-level factors that affect racial disparities in immunizations in LTCFs are needed. We would like to thank the administration, staff, and residents of the participating long-term care facilities for their willingness to be involved in this research. In addition, we are grateful for the data collection efforts of Jill Chmielewski, Diana Bickham, Margaret Orman, and Harriett Bates while conducting on-site visits to LTCFs across the country. Thanks also to Drs. Scott Williams and Barbara Braun for their many useful comments on this manuscript. This research was conducted through a grant funded by the Centers for Disease Control and Prevention (Grant Number 1U01IP000410-01). Rolfes MA, Foppa IM, Garg S, Flannery B, Brammer L, Singleton JA, et al. Estimated influenza illnesses, medical vistits, hopitalizations, and deaths averted by vaccination in the United States. In: The Centers for Disease Control and Prevention. 2016. https://www.cdc.gov/flu/about/disease/2015-16.htm. Accessed Nov 2017. Nursing home vaccination: reaching healthy people goals. In: Department of Health and Human Services, Office of the Inspector General. 2000. https://oig.hhs.gov/oei/reports/oei-01-99-00010.pdf. Accessed Oct 2017. The national nursing home survey. In: Centers for Disease Control and Prevention (National Center for Health Statistics). 2011. https://www.cdc.gov/nchs/nnhs/index.htm. Accessed Sept 2017. Travers JL, Schroeder KL, Blaylock TE, Stone PW. 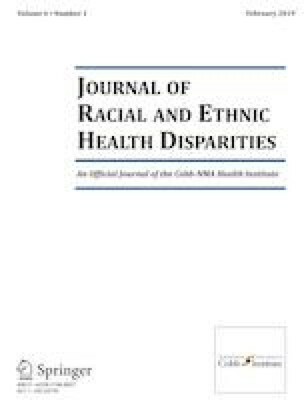 Racial/ethnic disparities in influenza and pneumococcal vaccinations among nursing home residents: a systematic review. In: The Gerontologist. 2017. https://academic.oup.com/gerontologist/advance-article/doi/10.1093/geront/gnw193/2932065. Accessed Nov 2017.